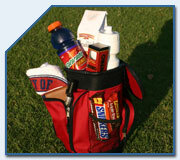 Promotional products you won't see anywhere else! 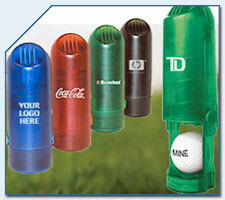 The only golf ball stamper / monogrammer available to the ad specialty market. 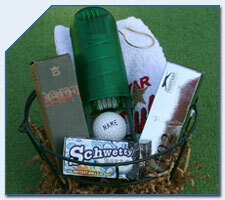 Features adjustable four digit (letters only) personalization of golf balls. Works like an office date stamp. Easy to use, no mess, permanent ink. 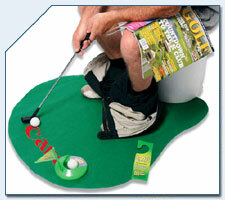 This NEW golf accessory option has been sold in golf retail stores for years, now available as a unique and useful promotional item. (Take this to the next level by substituting champagne flutes and sparkling cider). Includes: piece house ball (comparable to Maxfli Noodle), 1-4 color imprint on balls and customized prescription label ($50 set-up). Vials available in yellow, green, blue (all twist caps) and amber (green snap-cap). 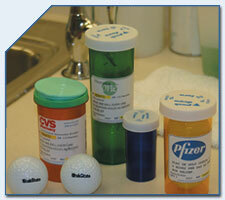 Brand name balls available for additional cost. Green can be logoed at quantities of 12 or more. Weighted ball includes diagrams of exercises to help strengthen a golfer's core, posture and game. A must for your home gym. Great for off season or for pre-round warm up. Improve posture, avoid aches, strengthen swing. Promotions can be fun! Genuine texture (but no scent). 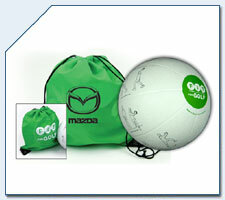 Plastic ball (comes within packaging) can be exchanged for a real ball (and can be logoed) for additional cost. 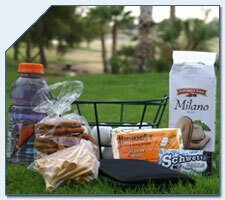 A NEW ad specialty product perfect for golf tournaments, gifts and fundraisers! 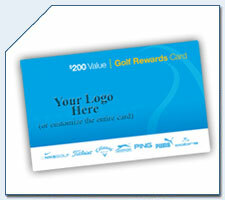 A gift card that allows each golfer to select the golf item (club, balls, apparel or accessory) of their choice. They can choose from the best name brands like Nike, Puma, Wilson, Slazenger, Loudmouth, Franklin, Dixon and others. The $20 card translates into a value of $200. 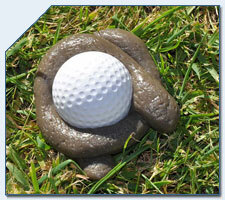 End user receives 200 points to use for "shopping" at IgniteMarketplace.com to select their free or highly discounted golf items. 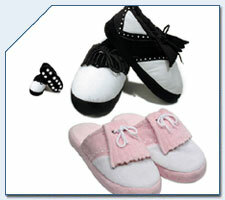 Visit IgniteMarketplace.com to see the extensive variety of products. 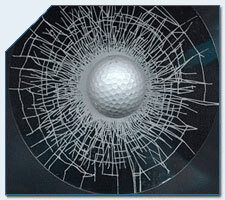 Classic 3D decal for car or any window. Imprintable (ball) at quantity of 48 or more.